Frances Kai-Hwa Wang, American Citizens for Justice former Executive Director and current Advisory Board Member, will be introducing the documentary film, "Vincent Who?" during the US Social Forum in Detroit. 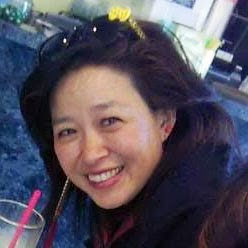 Frances Wang will be a speaker at a University of Michigan Center for Japanese Studies Workshop in Cultural Competence on Monday-Tuesday, June 21-22. Before I came to Michigan for graduate school, the only thing I knew about Michigan was that it was where Vincent Chin was killed. My parents’ Japanese-American neighbors warned me to sell my father’s Toyota 4-Runner and buy a Ford Bronco. I asked about safety as much as I did about academics before I decided to come. I always thought that slavery ended after Abraham Lincoln’s Emancipation Proclamation until a transplanted Texan first told me about Juneteenth, the celebration commemorating the day that news of freedom finally reached the slaves in Texas on June 19, 1865—more than two years after the Emancipation Proclamation. The celebration started in Galveston, Texas but has now become a sort of African American Fourth of July celebration, spreading to communities across the country. At the Ann Arbor Chinese School graduation ceremony this year, all the students gathered together in the multipurpose room at Northside School to honor this year’s graduating seniors. The high school class told funny stories about them, their parents shared fat baby pictures, the school presented them with framed diplomas to mark the 15 years they have spent here (preschool to grade 12), and the two graduates took a moment to share their wise, old insights with all the little brothers and sisters about why they should study Chinese. Kevin talked about how he is going to continue to study Chinese this summer and in college. Daniel talked about how he will not know what to do with himself on Friday nights. I was surprised to see several graduates from previous years who had gone off to college and then come home for the summer sitting at the back of the room. What were they doing at Chinese School again? The ones who used to teach the younger kids stepped right back into their old classes. Others visited their teachers and friends. Some had just come from their Chinese School class reunion for more Chinese School memories. As a result of the money donated at the silent auction fundraiser, please remember everyone must wear wear maize and blue at the ice cream social. This includes fans who root for Ohio State, Michigan State, and similar lesser universities. At King School's ice cream social on June 11, principal Kevin Karr will be triumphantly wearing maize and blue. This may not seem out of the ordinary for a U-M alum who special-ordered a big block M on his parking space sign, except that this year, Item #325 at the King School Silent Auction to support student enrichment was "The Karr Jersey"--the chance to make Principal Karr wear another team's colors. A proud, well-organized OSU contingent pooled their resources, even going viral to fund-raise at an elementary school in Columbus. Karr was getting nervous about a possible scarlet and gray fate. In the end, though, U-M fans prevailed with a combined winning bid of $520, beating out Duke, Stanford, Michigan State, Purdue, Yale, Columbia, the University of Phoenix, in Karr's words, "last and least, the Ohio State University!" Now Karr is rallying everyone to join him in wearing the colors of Michigan at the social, even--no, especially--the OSU families. I always smile when I drive down Scio Church Road and see the big copper dome topping St. Nick's Greek Orthodox Church. I remember when they built it and moved from their former Main Street location, how proud the children and I were to honor their Greek heritage by sending in our tiny little donation check to do our part. It feels like we have "always" gone to the Ya'ssoo Greek Festival, so I am surprised to discover that it was revived only in 2007 after a twenty-three-year hiatus. The University of Michigan Center for South Asian Studies will present an Indian classical music concert titled, Sangeet Sandhya--An evening of enchanting Indian classical Raga music and spiritual bhajan compositions, at 8 p.m. Friday at Britton Recital Hall on North Campus.